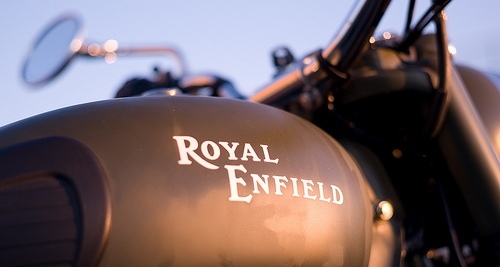 Eicher motors the company Royal Enfield also launched the refreshed Thunderbird 350 with all the same features of the Thunderbird 500. However, the Thunderbird 350 will be placed below the newly launched Thunderbird 500. By doing this Royal Enfield has expanded the Thunderbird’s range of new features to suit the budgets of a wider range of buyers. The Thunderbird 350 as its name suggests, it will feature the same smaller UCE engine displacing 346cc. This engine produces 19.8 Bhp and 28 Nm. Like its elder sibling, the 350cc engine too features hydraulic tappets, an electric starter and a five speed manual gearbox. However, the Thunderbird 350 uses a carburetor instead of fuel injection, allowing Royal Enfield to price it much more competitively. Also its fuel efficiency is also expected to be much higher than the 500cc model. The older 350cc Thunderbird bookings have been stopped and the newer version is available now. Bookings for both the new Thunderbird 350 as well as the 500 models are now open at Royal Enfield dealerships across the country. The all new Thunderbird 350 is priced at Rs. 1,43,000 (on-road, Mumbai). As the booking for old 350cc Thunderbird has been freezed, the left over stock of the Thunderbird TwinSpark can be bought for heavy discounts/no waiting periods. So folks who can live without the new added features can definitely go with older model as the engine of the new Thunderbird 350 remains unchanged from the current TwinSpark model.